It’s that time of the year again where the days get shorter and condensation start showing up on glass around the home. 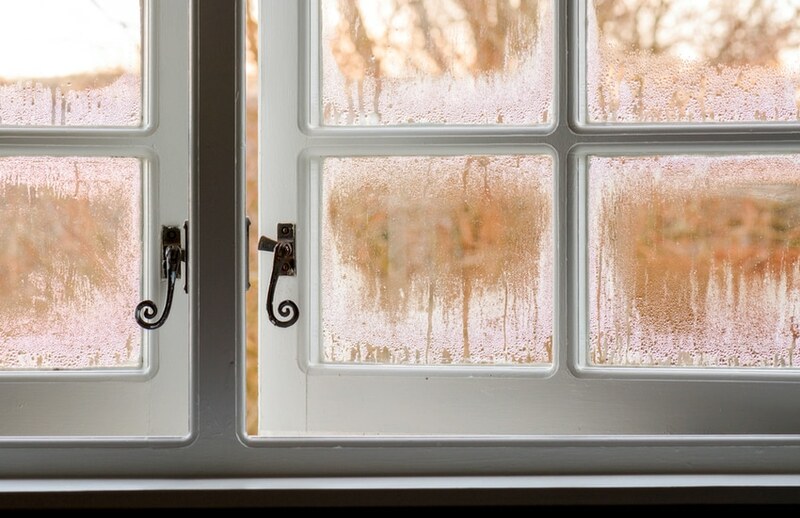 If you see water or ice appearing on the inside of your windows, you are witnessing accumulated humidity throughout your home clinging to a cold surface resulting in condensation. When damp, warm air encounters either a surface or air colder than the original surface, the moist air is unable to hold the same amount of water. Water is then released into the cold air or onto the colder surface, causing the formation of condensation, And if your windows and door are made of wood, there is a possibility for deterioration, rot, or even mold growth. Daily routine habits such as cooking, doing laundry, or even just breathing creates water vapor which produces condensation. When this occurs, it reaches a ‘saturation point’, and the moisture turns into water and condensation appears. The temperature reached at saturation is called the ‘dew point’. When the ‘dew point’ rises, the air encompasses a relative humidity of 100%. The air within the majority of homes tends to have a 50-70% relative humidity. 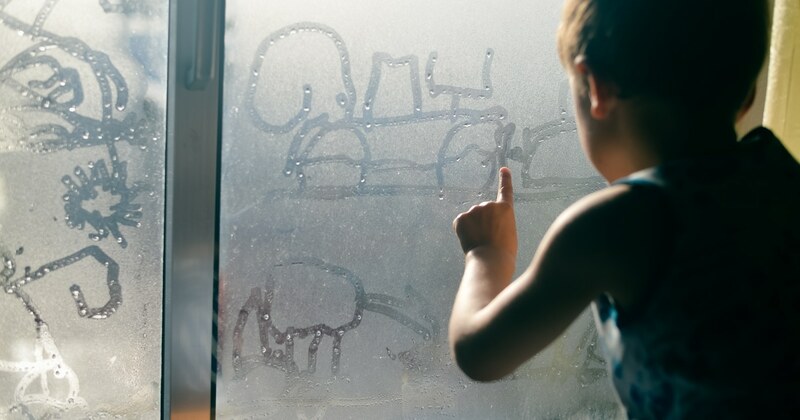 If you have concerns about your windows with condensation, you may want to check what the relative humidity is in your home. Typically throughout the winter season, it should be between 25-40%. Condensation could also stem from a larger issue occurring throughout the entire house. Cooler rooms in the home that generate the most moisture (bathrooms or kitchens) or rooms close the furnace commonly see moisture first. Basements or dens are common rooms that humidity can sink down and are also likely to create condensation. A solution to this issue might be adding more insulation in those specific areas or running a whole-house dehumidifier to help you through the seasonal changes. If you happen to find ice on any of your windows, it’s possible you may have a more significant problem to address. In some cases, it may require air sealing around a window or door, and in others, it may be a final indication of unit failure that could require window service or replacement. 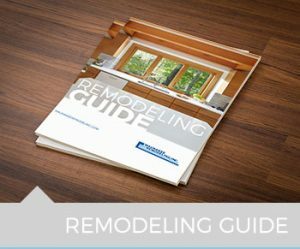 Here’s an informative video from Renewal by Andersen Windows that explains what causes condensation on your windows and what you can do to avoid it. This occurs once warm, moisture-heavy air comes into contact with surfaces at or below its current temperature. This happens at the bottom of the external walls, causing sills to rot over time. This occurs once damp air gets trapped in a colder home. This typically occurs during the winter season and is especially common in unoccupied homes. The air almost behaves like a permanent sweat on interior walls that get stuck in a freeze-thaw cycle throughout the cold season. This is the most common condensation issue for Wisconsinites. Once residual warm, moist air diffuses into a vapor-permeable material, like fibrous insulation or drywall, warm-front condensation is likely to occur. This becomes an issue in heavily insulated or cool homes. 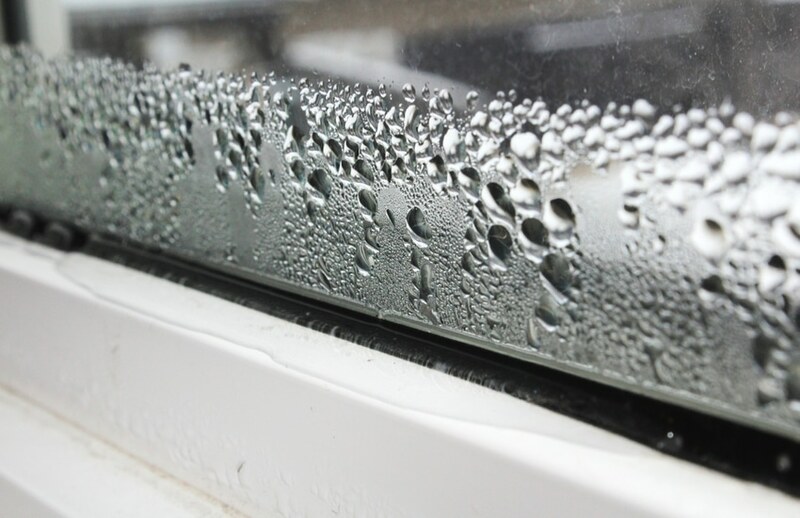 It is not uncommon for some condensation to form on even the best windows during certain weather events throughout the winter season. Controlling the amount of humidity in your home can be simple if you utilize exhaust vent fans located in the kitchen and bathrooms and keep doors closed to these rooms while the vent fans are on. You can use a portable hygrometer to measure the relative humidity in that area of the home. We can’t stress enough the importance of having strong ventilation in your home and a positive input ventilation system may be just what you are looking for. It works by supplying fresh, filtered air into the home. If you are experiencing condensation on your windows, you may want to check your attic also. If there is condensation in that part of your home, it could turn into frost, then possibly mold. Keep in mind, another tip to follow would be turning down the Aprilaire System to help eliminate the condensation buildup. We hope this post has helped if you are experiencing these signs of condensation in your home. 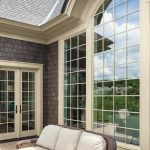 First founded as a siding company in 1977 in Waunakee, Wisconsin, our company has evolved into a full-service interior and exterior remodeling resource. 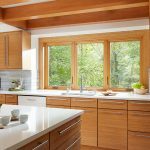 With years of industry experience in materials selection, design expertise, and professional custom craftsmanship, we’ve established ourselves as the premier remodeling company in South Central Wisconsin. If you have any questions, give us a call at 608-709-7517 or schedule a free consultation here.